It is crazy how much the doctors know, have learned and continue to learn about these cancers but scary at the same time of how much is unknown! 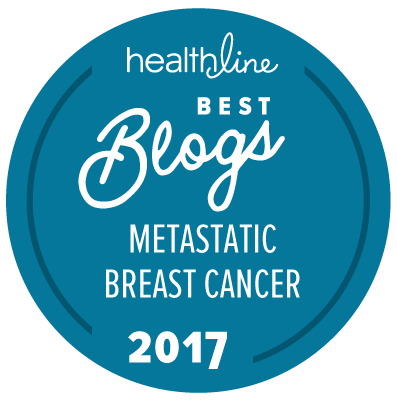 (I also have metastic breast cancer – triple negative. Tumor markers drive me crazy, even though my onc tells me not to worry about the numbers. I’ve heard that Sloan Kettering has stopped testing tumor markers! Wow! Did not know that, Deb. I’m happy to read that your AT treatment is working and hope that you and your team find ways to minimize side effects. I am currently experiencing diffiuclt side effects myself while on Taxol, Herceptin and Perjeta for metatastic BC in the liver. I hear you when you write that there’s always something… One of my mottos is « this too shall pass ». I came across your blog and just wanted to say reading it makes me less frightened of what the future might bring. You’re showing your children the meaning of resilience and how to live. I hope I would be able to do the same.